- Sunnyside bungalow - (BS1006) This early picture is of 30 Sunnyside. 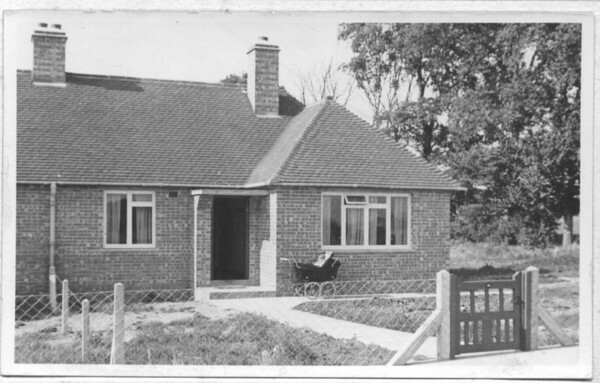 The development began in 1946, and consists mainly of (at the time) Council, or at least "affordable" properties around the new recreation ground, acquired by the Parish Council to replace the former village recreation ground which had been lost when the 1942 By-pass was built. Thanks to Maggie Jones for the information that the photo was taken about 1951 and her brother, Philip Coggins, is in the pram.